Fox News Radio reporter Todd Starnes continued his network’s ongoing campaign against a proposed non-discrimination ordinance in San Antonio, relying on a notoriously dishonest anti-LGBT activist to peddle blatant falsehoods about the measure. Right-wing media outlets have spent weeks smearing the measure as an assault on religious liberty and a case of “reverse discrimination.” In a September 5 article for Fox News Radio, reporter Todd Starnes peddled a number of blatant, outright falsehoods about the measure, citing Mat Staver, president of the notoriously anti-LGBT group Liberty Counsel. Staver told Fox News the ordinance would even prevent Christians who believe in the traditional definition of marriage from working for the city government. Staver’s comment refers to an existing portion of San Antonio’s current non-discrimination law, which allows City Council members to consider “prior acts” of discrimination when making appointments. That provision has been deleted for weeks from the proposed ordinance in order to alleviate right-wing fear mongering about religious liberty, prompting even a vocal opponent of the measure to admit that his concerns had been resolved. Staver said it could be that your pastor speaks on the issue of traditional marriage or it may be that you hold a personal believe that gay marriage is wrong. “That kind of statement would be considered biased towards homosexuality and disable you from working at all with the city,” he said. But the ordinance does not institute new requirements for working with the city of San Antonio. As City Councilman Diego Bernal explained, the ordinance merely clarifies that the City Council may choose to remove a city official based on that official's professional bias against LGBT people - a discretionary power the City Council already has, even without the ordinance. As for contractors and vendors, businesses seeking to work with the city are only barred from discriminating against LGBT employees. The personal religious beliefs of business owners are irrelevant so long as they don’t engage in discriminatory employment practices. Staver said the ordinance was so broad that it would require churches as part of the public accommodation law to allow men to use women’s restrooms in certain situations. “I think the city council will be stunned when they see the push back from pastors and other leaders,” he said. 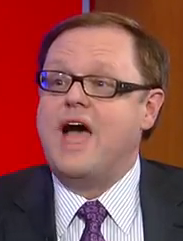 Starnes’ bathroom horror story is a boldfaced lie. PolitiFact Texas rated the claim “false,” noting that the ordinance contains no language regarding bathroom policies currently in place. San Antonio law currently does not prohibit transgender individuals from using their preferred restrooms. More importantly, the measure contains explicit exemptions for religious institutions like churches. Starnes’ article is emblematic of conservative media’s fact-free campaign of “purposeful misinformation” against the non-discrimination measure, which Fox News has been more than happy to lend credibility to over the past several weeks.